Phosphorylation of peptides is one of the most frequently occurring post-translational modifications of peptides and proteins. Phosphorylation/dephosphorylation plays a key roll in activation/deactivation of many proteins. 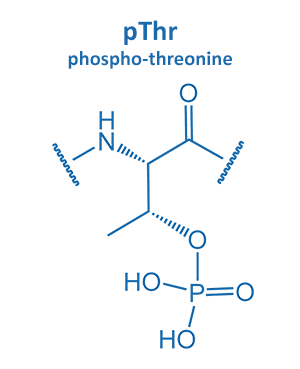 Furthermore, phosphorylated amino acids are found in several recognition sites of proteins. 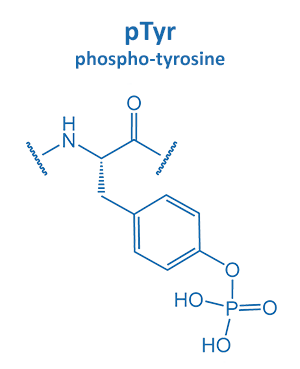 Multiple phosphorylation is one of the real challenges in peptide synthesis. Due to continued research, BIOSYNTAN has gained excellent expertise in synthesizing peptides containing several phosphorylation sites. 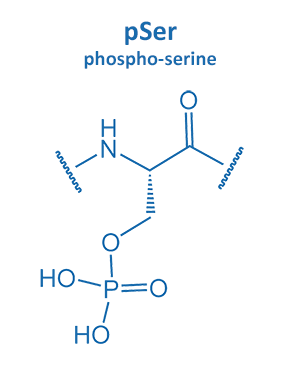 Please note the low stability of pSer and pThr peptides, which decreases further with multiple phosphorylation.